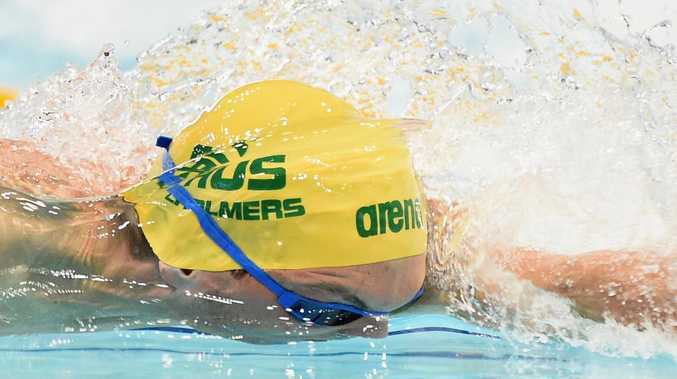 OLYMPIC sprint champion Kyle Chalmers has failed to make the final of the 200m at the Pan Pacs in Tokyo despite claiming the event may have been his best chance at this meet. Fellow Rio gold medalist Mack Horton was also eliminated as two new names emerged. But under Pan Pac rules which state each country can only have two swimmers in the final, the man dubbed the "Big Tuna" was racing his Australian teammates as well as the rest of the field and needed to produce a strong morning swim. Gold Coaster Alex Graham (1min 46.35sec) and Brisbane's Jack Cartwright (1:46.38) were the best of the Australians after the heats, both producing scintillating morning swims. But Cartwright has withdrawn from the final, with coach Dean Boxall saying he was only interested in posting a time good enough to claim a spot in the 4x200m relay. Clyde Lewis (1:46.42) and Chalmers (1:46.62) made the B final, but Chalmers has withdrawn to concentrate on Friday's 100m final, with Lewis moving into the A final in place of Cartwright. Horton (1:46.66) and Elijah Winnington (1:47.47) will now swim the B final. But he said he was happy with his heat swim, a time that was his fastest morning swim, in an event he is still working out. "We knew that it was going to be fast swimming this morning because you knew that you had to make the top-two Australians to be in that final," Chalmers said. "I gave it everything I had, I was half a second faster than I was at Commonwealth Games in the heat and that's the fastest I've ever been in the morning. "I'm actually really happy with that. I know my coach will be happy but in the back of your mind, you're still a bit disappointed because you want to be in that A final. Chalmers emerged as a 100m specialist but he believes his best could lie in the 200m given his withering back-end speed and love of pushing his limits. But he conceded he is still learning how to master the four-lap event. "I was fifth, so I might not get a relay swim but I'm very happy for those guys to go fast this morning."